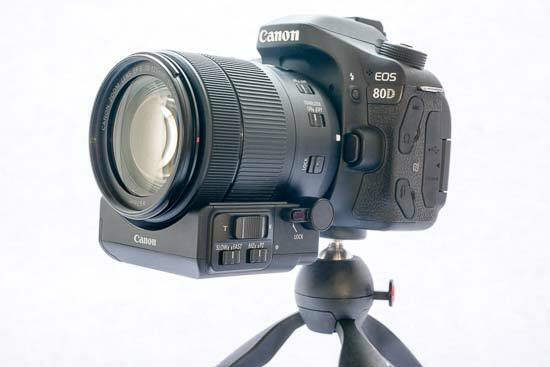 The Canon Power Zoom Adapter PZ-E1 was introduced at the same time as the Canon EOS 80D, and the EF-S 18-135mm f/3.5-5.6IS USM Nano USM lens. It allows for the lens to be transformed from a standard lens into a “power zoom” lens, meaning you don’t need to physically turn the zoom ring to extend and retract the lens. As of now the power zoom adapter works only with this lens. 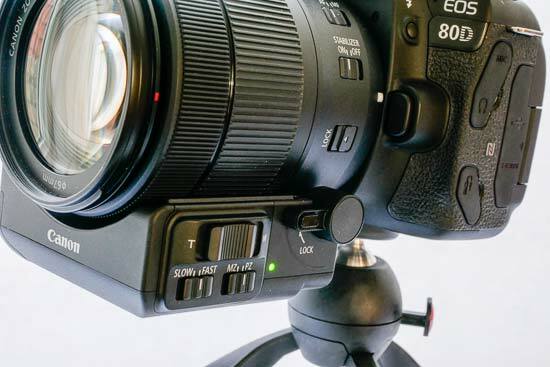 It’s designed to be particularly useful for videographers as it means you can have smooth and quiet zooming during movie recording, but there are also some uses for stills photographers too. 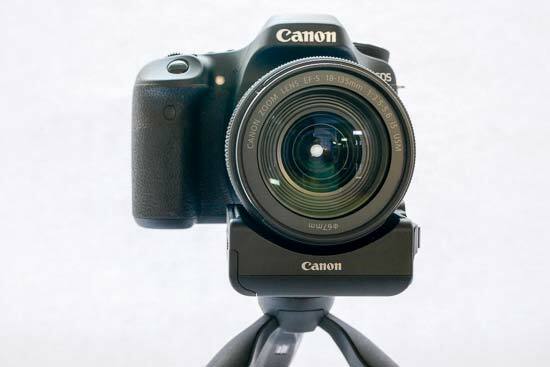 The Canon Power Zoom Adapter PZ-E1 retails for $149 / £129. The PZ-E1 is a small piece of kit which attaches directly to the 18-135mm lens. 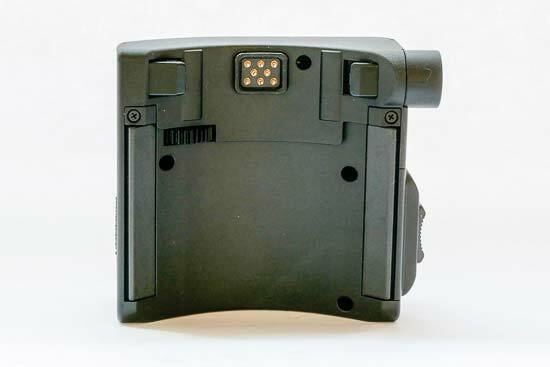 You’ll see on the PZ-E1 that there are electronic contacts which corresponds with an area on the lens itself. You’ll also see that there are two clips which hold the adapter in place on the lens. Looking at the inside of the adapter, you can see a small gear, which is how the power zoom works - this will rotate and extend and retract the zoom when you use the switch. To attach the adapter to the lens, you first need to open the lock. There’s a small button this which you have to first press down in order to open it - this prevents accidentally unlocking the adapter when you don’t want to. Line up the contacts and the two catches to the correct area on the lens - it should be fairly obvious what you need to do. Once they’re in place, push the lock to secure it. It should now be next to impossible to remove the adapter from the lens without unlocking it - it certainly feels very securely attached. Flip to the side of the adapter and there are two switches, along with a zoom lever for zooming the lens in and out. 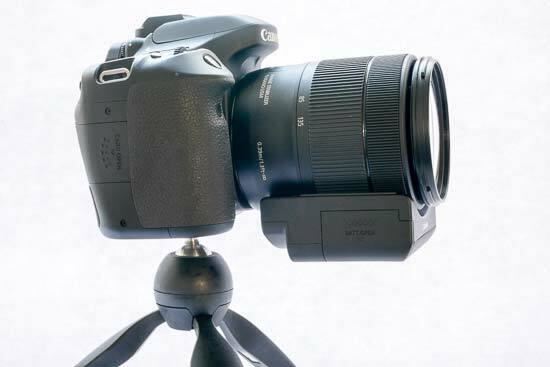 When the adapter is attached, you can still zoom the lens in the normal way that you would any other normal lens, but you’ll be restricted to operating the lens from the top of the lens, making it a little awkward. Also, in order to do this, you'll need to set one of the two switches to “MZ”, standing for “manual zoom”. When you want to use it as a power zoom, simply flip the switch to “Power Zoom”. When you do this, if the camera is on, you’ll see that a green light on the adapter illuminates and stays on. This indicates that the power zoom is in operation - it’s very important that you don’t try to manually zoom the lens while this is on as it could damage the lens. If the lamp goes off while in the power zoom position, it indicates that the batteries have died in the adapter and you’ll need to replace them. The light may also flash slowly to show that there’s a heat warning and the zoom will stop working soon. If it flashes quickly, then you won’t be able to use it at all. Batteries for the adapter are inserted in its side, and it takes four AAA batteries. Battery life is quoted at around 100 minutes per set of alkaline batteries when using the power adapter, so you may want to take an extra set with you if you think you’re likely to be using it a lot. The second switch alters how quickly the zoom operates. You have the choice of Slow or Fast - the former is recommended for when recording video as you will have smoother movement and quieter operation. The latter is useful if you’re taking stills shots and want the speed instead. Just above the two switches is a zoom lever which is marked T and W, just as you might find on other zooms on other cameras. You simply hold it down in whichever direction you want to zoom and the lens will move in and out. 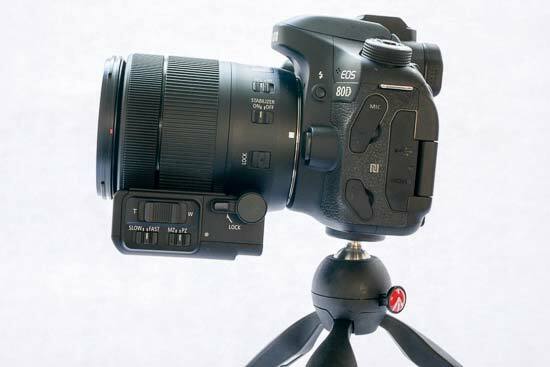 However, there is also another way to operate the power zoom which may be even more useful. 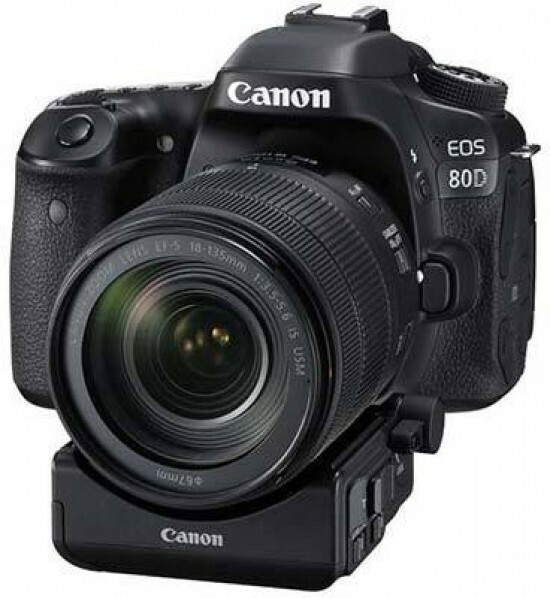 You can connect the 80D to your smartphone via the free Canon Camera Connect App. Once connected, you can control the zoom remotely from your phone. The movement can be a little jerky and it takes a second or two to update on the phone screen with then new zoom view so you may not want to rely on it 100% if you’re critically framing video footage. Using the remote app is great for self portraits and group shots, where you can zoom in to frame more precisely. For this, it’s ideal if you have the fast switch turned on so you can quickly move in and out as necessary. From the app you can record video, take stills, make changes to settings and so on.